We are an early adopter of new and proven technology in our entire operation from office through final product shipped. In our pursuit of continuous improvement and eliminating waste and process variability, we are always upgrading and installing the latest appropriate automation, including robotics and other integrated equipment. This assures minimal process interruptions, creating the opportunities for the most robust and capable outcome. We blend our A380 secondary aluminum alloy to a high cleanliness level and to tighter elemental specifications than industry standards to improve castability and machinability. 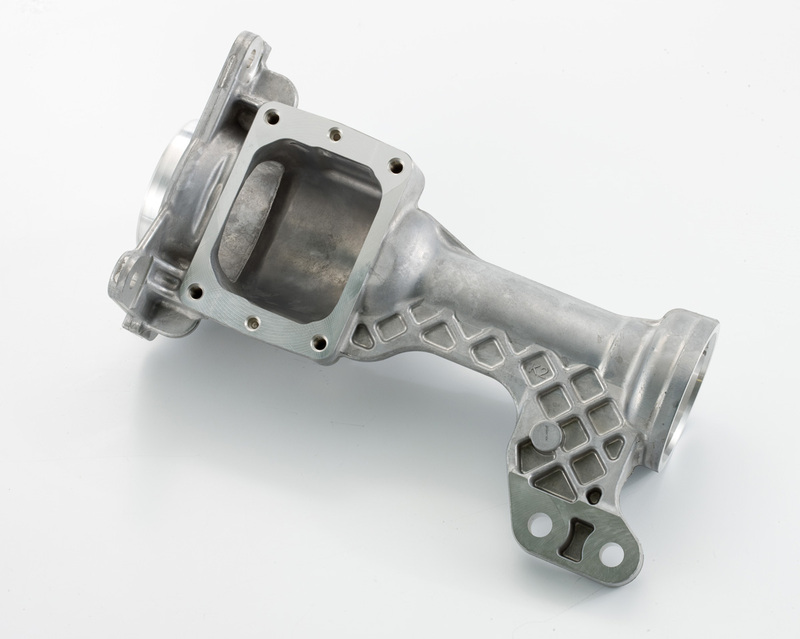 By leveraging its various capabilities, MKC is able to design a highly engineered or acquired sub-assembly solution consisting of multiple components, using the appropriate process technologies including High Pressure aluminum die casting and squeeze casting, to maximize performance and value for the customer. This broad range of integrated capabilities and MKC’s ability to provide complete system sub-assemblies are the Company’s significant competitive advantages in the metalforming industry. 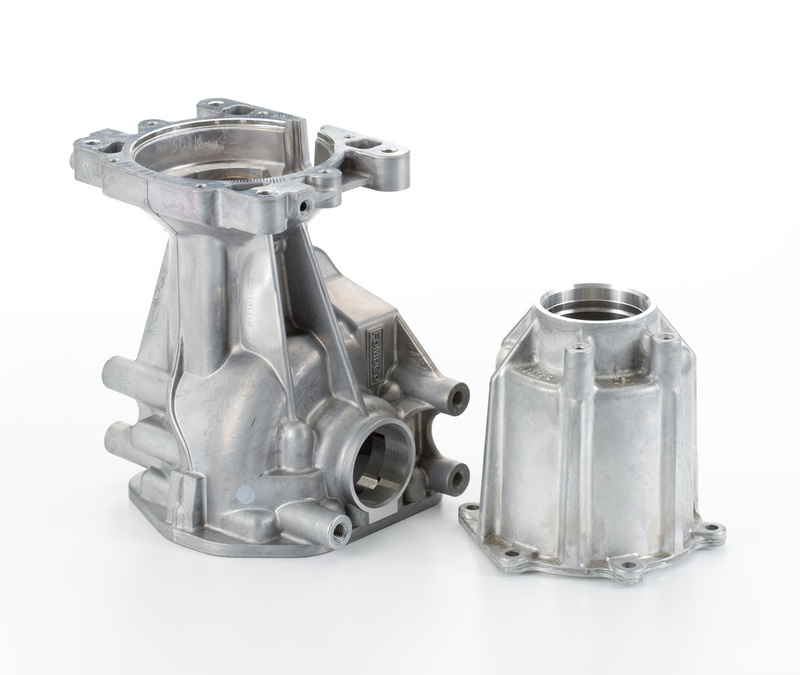 Our customers rely on our extensive experience to assist with the best practices for pressure die casting while not compromising component design intent. We are here to assist from concept through finished product launch. Madison-Kipp considers our Program Launch Process a core competence. We adhere to the APQP standards and engage throughout the launch process driving milestones to completion on-time and on-budget. As always, zero defects is our ultimate goal. Minimize part and tooling complexities for a robust process. Key cast feature considerations for longest tool life to minimize program total costs. Accurate Control plans and Design Failure Mode Effects Analysis (DFMEA). Poka Yoke integration for Zero Defect Goal. Always considering our SmartWay Lean Manufacturing approach. We use standard work processes to minimize failure modes. Corporate Key Metrics are reviewed and tracked regularly through functional department report-outs to define opportunities for improvements throughout the organization. Continuous improvement (SmartWay) drives us to work standardization refinement to minimize variability throughout the entire organization and departmental processes. MKC designs, engineers, and manufactures a broad array of highly engineered components and assemblies with diverse applications for customers in various end markets. 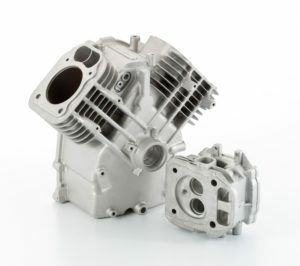 MKC has earned a reputation as a leading provider of subassemblies and components as a result of its ability to offer comprehensive solutions by integrating its full range design, high pressure aluminum die casting, squeeze casting, machining, and assembly capabilities throughout the entire production cycle of a product, from early design stage through post-manufacturing service. This unique capability along with MKC’s commitment to quality and lean manufacturing culture throughout the entire organization are key factors that distinguish the Company from its competitors. The Company’s full suite of services supports customers from concept design, through rapid prototyping, tooling and pre-production approvals to full-scale manufacturing, finishing and shipping. The Company’s customers increasingly rely on partnering with MKC early in the design phase of complex components and assemblies, and the Company’s breadth of services allows it to serve as a single point of contact throughout the design, manufacturing and delivery phases. As OEMs increasingly concentrate on their core capabilities and outsource component manufacturing, MKC’s breadth of services strategically positions the Company to undertake complete assembly projects, rather than merely supplying a single component. As a result, the Company is well positioned to capture market share as customers consolidate their supply networks and look for sole sources of components and assemblies. The expertise of MKC’s engineers provides the Company with the ability to consistently produce components and assemblies to tight tolerances and to seamlessly launch complicated projects. The Company utilizes a simultaneous design and engineering model, opposed to the traditional linear model, which allows engineers to quickly develop tool designs while many other pre-production processes are taking place. The first step is selecting the best processing equipment for the specific application by evaluating machine cost, repeatability, cycle times, operating efficiency and in-process monitoring. Once the process decision is made, the Company’s design engineers create the optimum tool design using advanced three-dimensional solids modeling and CAD capabilities while conducting processes such as finite element analysis, fluid flow analysis, heat transfer modeling and cavity design. Concurrently, production engineers focus on process design and implementation. This innovative approach allows MKC to build prototypes and production tooling in as short as 45 days while virtually eliminating costly mistakes and downtime caused by the traditional linear trial-and-error design approach and allows for seamless new program launches. MKC has extensive experience designing and building tooling on an in-house basis and has established relationships with offshore tooling providers. The Company’s dedicated in-house tooling staff includes toolmakers and tooling design engineers that are capable of building tooling to achieve incredibly tight tolerances. With both in-house and offshore capabilities, MKC can optimize the ideal tooling solution for its customers. For example, MKC may produce the first tool in-house and then outsource all repetition to offshore providers to ensure quality at the lowest possible cost. 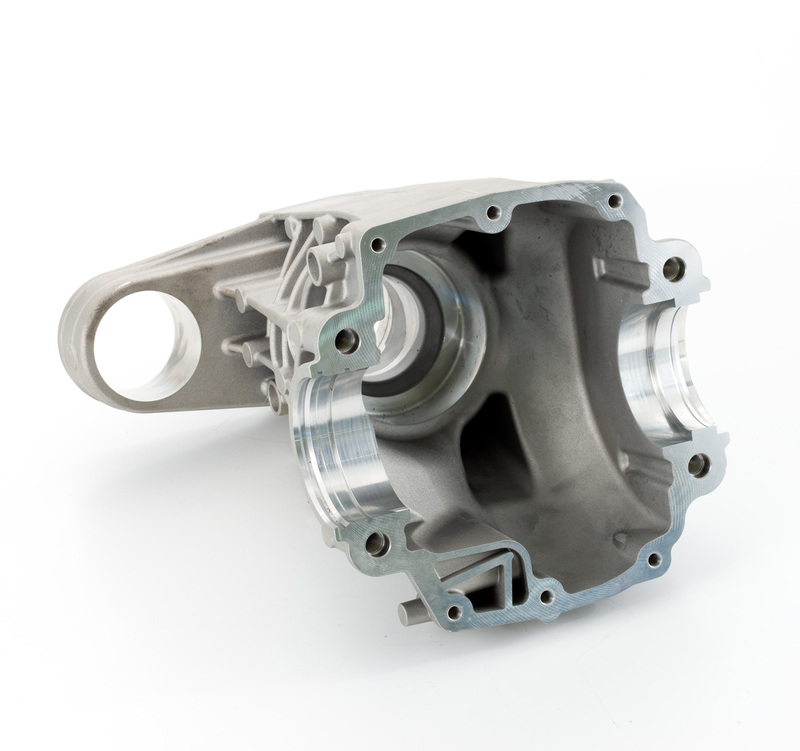 MKC offers a full range of high strength aluminum casting for parts weighing between 0.25 and 15 pounds. The Company’s extensive knowledge of metallurgy and in-house alloying capabilities optimize the metal characteristics for the intended application. For example, by altering factors such as magnesium content and temper, MKC can create a highly ductile alloy allowing for 5-12% elongation without strength loss while conventional aluminum alloys typically only allow 2-3% elongation. The Company performs machining and other subsequent operations on almost all of the products it manufactures. The machining capability is an important part of MKC’s ability to provide an integrated full-service product offering. MKC employs 15 automated production cells to manufacture products at very tight tolerances. The Company’s highest complexity components may be machined by multiple tooling sets as part of a fully automated process. The Company has also developed a variety of innovative assembly offerings, including an as-cast insertion capability to assemble various components into a cast component. By integrating machining and assembly into MKC’s fully automated manufacturing process, the Company eliminates the need for costly secondary operations. MKC’s integration capabilities and systems know-how utilizing multiple machining centers, robotics, in-process quality monitoring and measurement are key elements to the Company’s single source strategy. Each of MKC’s products requires the integration of the Company’s core capabilities listed above. MKC utilizes 30 ABB robots and 6 advanced coordinates measuring machines to assist in system integration. The Company’s ability to integrate each step of the process from initial design to final assembly is a unique capability that management believes differentiates the Company from its competitors. In 2004, MKC implemented a lean manufacturing operating model called SmartWay in order to manage the value stream and improve operational efficiency across the organization. Key program elements include continuous improvement, waste elimination, flow production, error preventative process design, visual management systems, employee involvement, fact-based decision making, quick response to customer changes, multi-skilled workers, 5S housekeeping and low capital investment. Since 2004, the Company has realized significant operational improvements as a result of this program. The Company reduced scrap and cost which improved contribution. MKC has also experienced improvements in PPM rates and customer satisfaction and has achieved on-time deliveries on 99%+ of its products in the last 24 months. Management believes there is a substantial amount of operational improvement yet to be realized as a result of the implementation of SmartWay. All planned program launches and new business quoting will utilize the SmartWay model, and all recent program launches have successfully utilized the SmartWay approach. SmartWay allows for better assessment of costs and processes prior to launch and improves MKC’s ability to achieve estimated cycle times and targeted program results. The model also allows more accurate visibility in the Company’s projections. MKC production systems and capabilities are highly automated with robotic technology and/or dedicated integrated operations. We manage the supply chain from raw metal blending to final product assembly and integration into our customer’s production system. MKC provides customers with a single source integrated solution that minimizes supply chain complexity and risk.